Solid brass Ribbon and Reed mortice door knobs. Size 70mm diameter sprung back rose, 58mm diameter knob, supplied in pairs with follower bar and fixings. 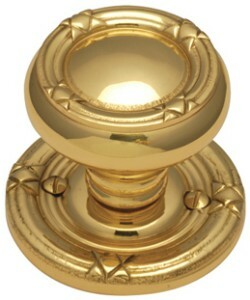 Available in Polished Brass, Antique Brass, Polished Chrome & Satin Chrome.